In large bowl, place all ingredients except dressing and noodles. Pour dressing over salad; toss to coat. Garnish with noodles. Use 5 cups of a preshredded coleslaw mixture found in the produce department. 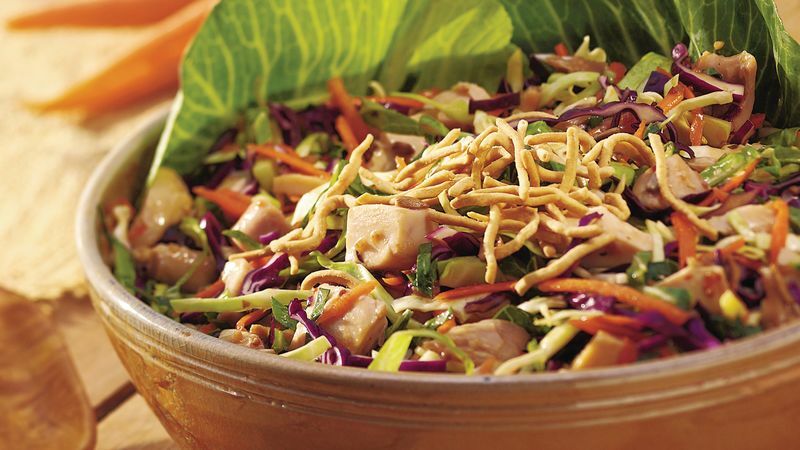 This salad can be made several hours in advance, but do not add the dressing or noodles. Cover and refrigerate. Just before serving, toss with the dressing and garnish with noodles.